My crème brulee latte caught in my throat when I heard the fervent words from my husband’s lips. I set my mug down on the plaid tablecloth and wiped the spray from my chin. “Really?” was all I could manage. I’d never been in this position before. Matt’s not a reader and I live to read. Last year he read American Sniper. It was the first book I ever remember him reading for fun (if fun reading would include difficult autobiographies where the author suffers a horrific death). We’d held many conversations about his annual read and I had been happy enough to talk about a book. This conversation was different. 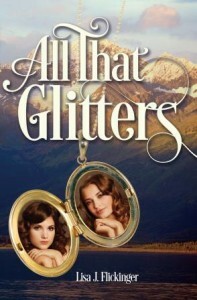 He’d just completed two-thirds of my new novel All That Glitters, a tale of two sisters braving danger and hardship during the Klondike Gold Rush in the late 1800’s. 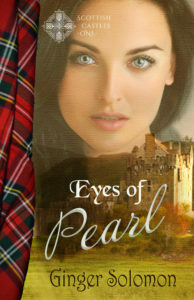 He was apparently dissatisfied with my heroine’s reluctance to tell the man she loved the truth about how she felt. Is this every writer’s dream or just mine, to talk about the characters you’ve created with someone you love as though the characters are real? Between writing, editing, editing some more, publishing and marketing I’d spent years with the characters, they felt like old friends to me and now Matt knew them too. Great! “Ben told her he loved someone else,” I said. Change his mind? Wouldn’t that make Ben a cheat? So what if he hasn’t actually met the woman he intends to marry. Lots of long distance relationships work out. It’s not in Ben’s character to be unfaithful. Why doesn’t he know that? Maybe I didn’t make it clear enough in the manuscript. Perhaps my hero comes across as some immoral lout that no one can trust. What have I done? I’m so sorry, Ben. As a reader, is a book more meaningful to you if you have an emotional reaction, or do you prefer to keep it light and stay uninvolved?